The premium level CPR Call Blocker V5000 puts you back in control of your privacy with the latest in Call Blocking technology. Ranging from the annoying to the dangerous, unwanted calls hound millions of people every day. We all want our phones to be instruments for communication, not frustration. With CPR Call Blocker V5000 easy to use control buttons you can view the caller's number on its large 3 Inch display and view the blocked number list as well as see how many times that Blocked number has tried to recall. If required blocked numbers can be easily removed from the block list using the delete button. 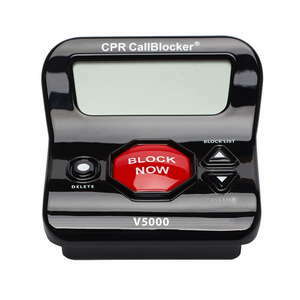 Call List: The Call List function displays the last 20 callers that if required can be individually added to the block list at the touch of a button. 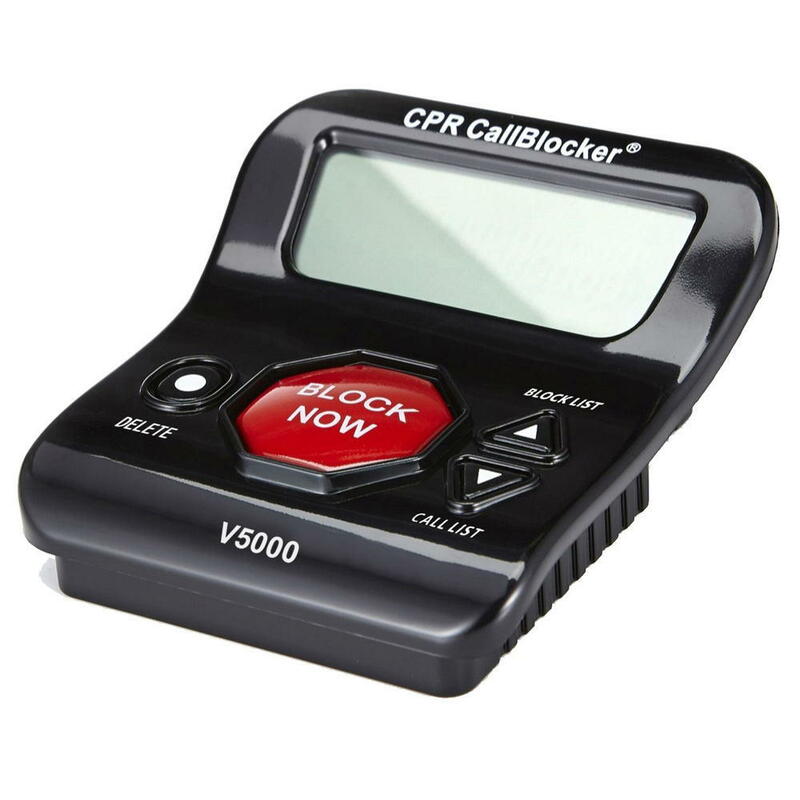 Built in Number List: The CPR Call Blocker V5000 is pre-programmed with more than 5000 numbers which are 'deemed' as known unwanted callers. 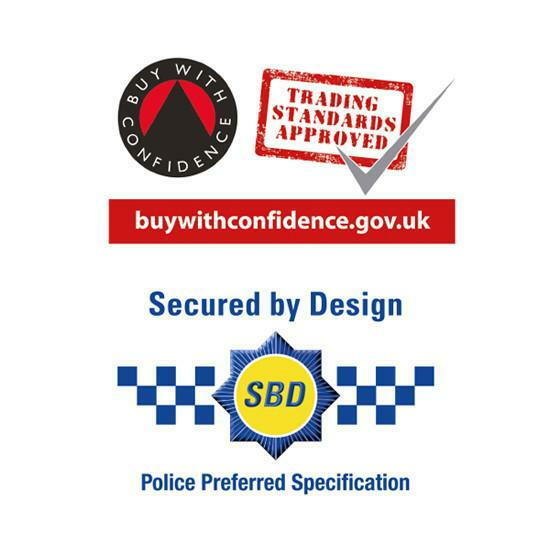 Companies which are selling by phone, using overseas call centres and automated sales lists are all pre-programmed which will minimize the sales calls you receive almost immediately. 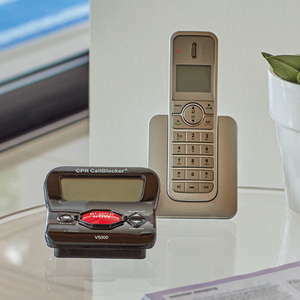 (#) 2 Blocking Function: Block a number by entering (#) 2 on any DECT handset connected to the telephone base. Withheld Blocking Function - This will reject all calls shown as WITHHELD. 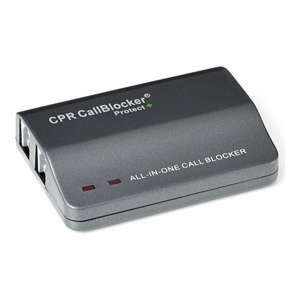 Unavailable Blocking Function - This will reject all calls shown as UNAVAILABLE. International Blocking Function - This will reject all calls shown as INTERNATIONAL. "0" Type Calls Blocking Function - This will reject all calls shown as multiple 0s or variations of fake numbers. Unknown / Out of area Blocking Function - This will reject all Unknown / Out of area style internet Nuisance Callers. 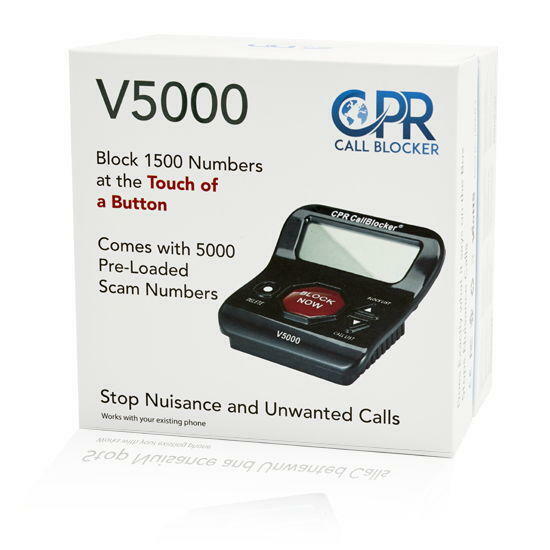 Last Calling Number Blocker - This will block the last visible number. 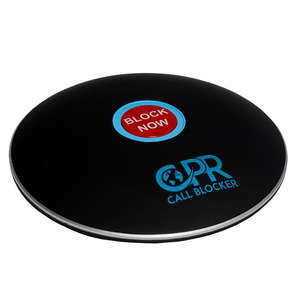 Area Code Blocker - This will block a region or country by blocking their area code.